We can personalize your custom furniture in the form that you would like. Your custom furniture can include your initials, your ranch brand, or an engraving that is important to you. 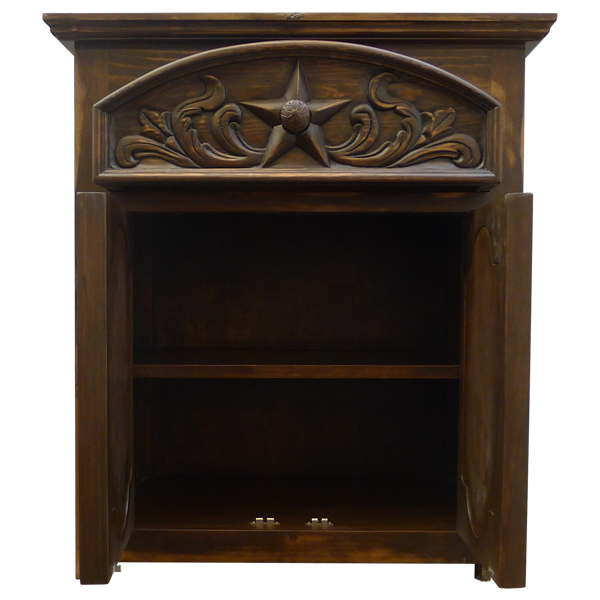 This handcrafted end table features an arched drawer embellished with a Texas Lone Star, surrounded by exquisite, hand carved floral designs. Centered in the Lone Star is a hand forged, iron pull handle made by our skilled craftsmen. 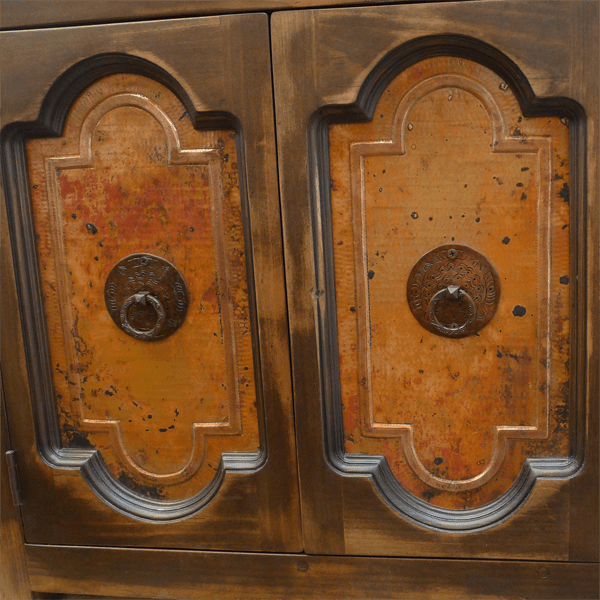 Directly below the drawer are two arched, cabinet doors, covered with spectacular, hand hammered copper panels. 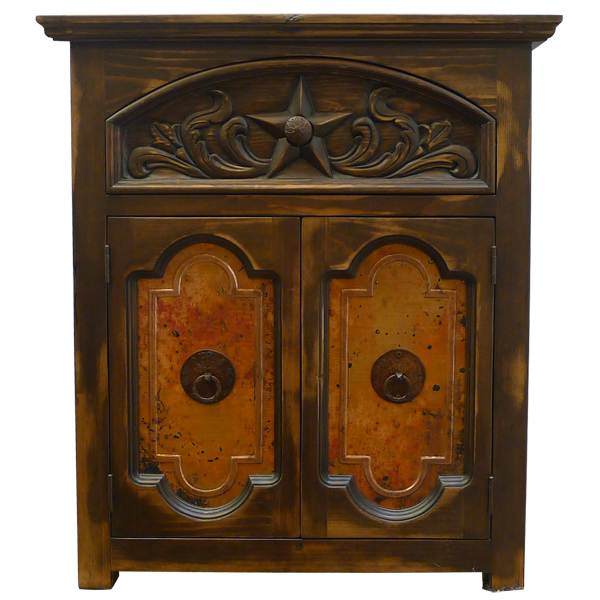 Each panel is adorned with a hand forged, iron concho, and with a circular pull handle in its center. 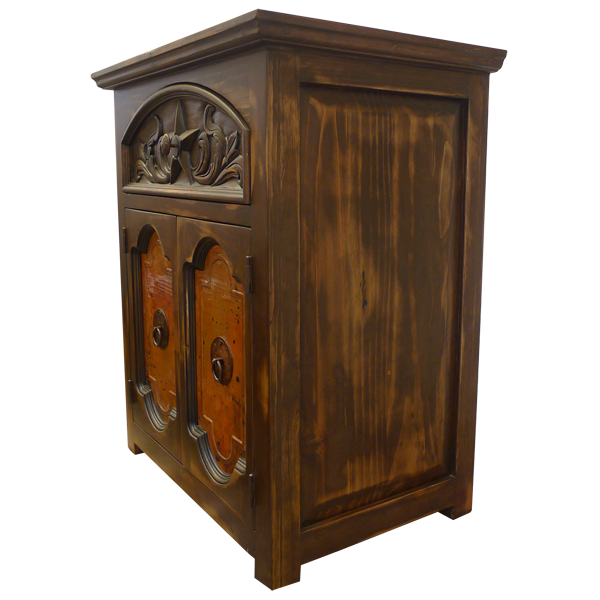 This custom furniture has a decorative wood panel on each side, and the end table is supported by simple, wood feet. This durable, custom furniture is made with the best, sustainable, solid wood available, and it is 100% customizable.